Let your mind be captivated and love every moment. 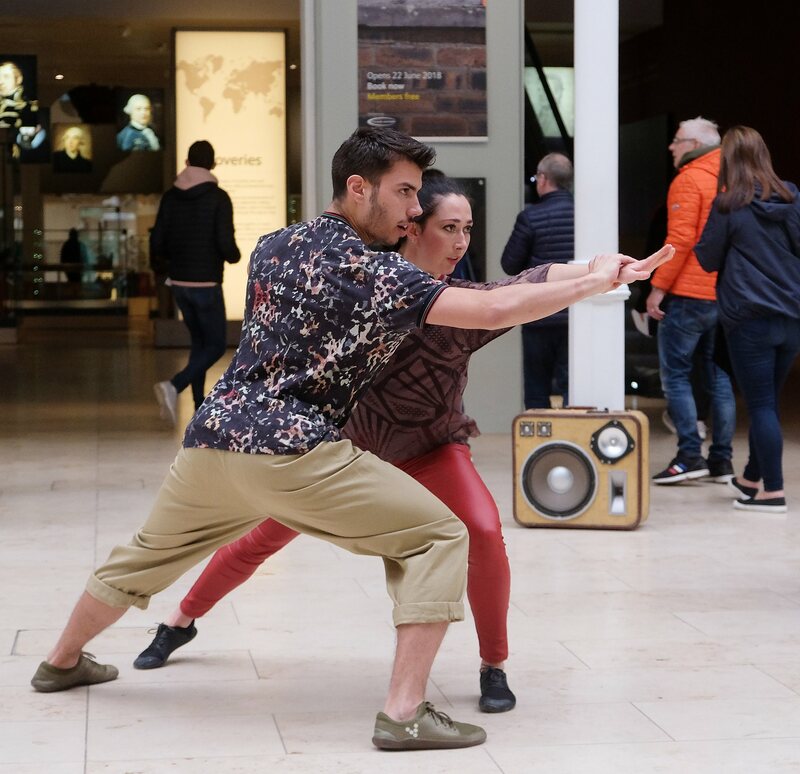 Janis Claxton’s Pop Up Duets (Fragments of Love) dance show is an intriguing moving work of art, with wonderfully composed music and the soundscape of the National Museum of Scotland makes your experience electrifying to watch as you follow the four dancers take you on different stories of love. Visually the performance is powerful, sensual and sweet. Each of the duets are genius and unique. Janis Claxton has created a show that is truly unlike any other dance performance and it is a real out of the box experience that just like life can happen anytime or any place. This is a show that breaks down walls and is very inspiring to watch. These enchanting duets are a must see and have been choreographed and performed to perfection, don’t miss out! On this must see show. Returning after its successful 2016 Fringe run and its international tour, Janis Claxton's masterpiece continues to surprise its audiences with love-themed dances choreographed by the award winning choreographer Claxton and to music by Pippa Murphy. Inspiring a few small children to dance along as well as scaring an elderly lady into running away from her seat, the response from the unsuspecting public adds to the charm and the dancers give it their all. A must-see from female choreographer Janis Claxton.